Dolphin -is one of the most amazing and mysterious creatures of the planet. Throughout human history, people knew that the dolphins provide assistance drowning and scatter the sharks gathering near the human. Take special care about children. A unique feature of the dolphins is their kindness, sociability, desire to establish a different kind of contact with a person to assist him. In Odessa in 2005 to the International Children's Day was inaugurated Dolphinarium "Nemo", which was an important event not only for our city, but for the whole south of Ukraine. Over the years the dolphin visited a lot of visitors and residents, and of course most of them are children. 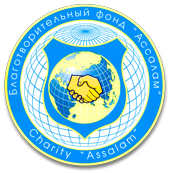 One day in July Charity Fund "Assalam" organized a tour for children in Odessa Dolphinarium "Nemo." What did not "get up" dolphins, seals and white whales. And whirled in the dance, and play ball, and even rolled on a trainer. For each trick children were happily clapping and screaming from pleasure, so that there children, adults no less violently expressing their emotions. After such an idea about, the positive charge should last a long time, because the dolphins and sea lions are so likable that he did not want to leave, but to look more and more. The kids were very pleased with the excursion, thanked the organizers for this opportunity, and Charity Fund "Assalam" promised that this was not the last tour of this kind. "Lets stop the war in Syria together"